Bishop Brady assured the women there is hope for them, no matter what circumstance they find themselves in. “My prayer today is that you know how loved you are by God,” said Bishop Brady. A 23 year old inmate shared that she looks forward to coming to chapel each week. 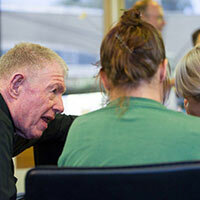 Chapel gives the women real strength to face difficult situations. An inmate of four years revealed “it’s not the most pleasant place to be. You come across different types of women. I got beat up pretty bad the other week. I know God protects me and I won’t hit back. Yesterday I had mediation with her and I told her ‘I forgive you’”. 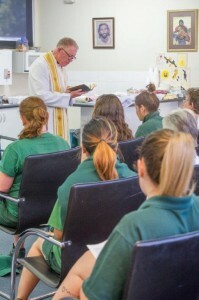 A number of volunteers from Epping –Carlingford parish in the Diocese of Broken Bay attended the Mass and come regularly to assist the prison chaplaincy. Many women in prison bear the burden of separation from their children, and the chaplain ministry plays a crucial role in meeting the many needs that arise in the inmates’ families. 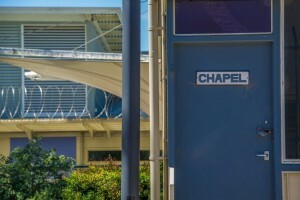 The ministry to women inmates in Silverwater prison is headed by lay chaplain Margaret Wiseman from the Archdiocese of Sydney. 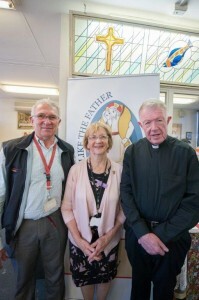 She has been involved in prison ministry for over 25 years and is currently assisted by Fr Peter Carroll MSC, Chaplain to the Corrective Services who also works in the men’s prisons. During the prayers of the faithful, prisoners prayed spontaneously, many thanking the chaplains for their kindness and generosity, without whom, the women know, such help would simply not be available. 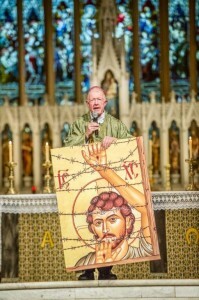 Later that evening a special Mass was celebrated at St Mary’s Cathedral, Sydney, to mark the Jubilee for Prisoners and pray for those in prison, their families and loved ones. Celebrated by Bishop Brady, the Mass was attended chaplains, families of prisoners, those who work in the correctional services and those who have done time themselves in prison. Bishop Brady acknowledged the wonderful work done by prison chaplains in prisons and correctional services centres across the country. “We are grateful for the dedicated service of the prison chaplains who bring hope to so many” said Bishop Brady. “We will always find Jesus in the most vulnerable and broken people in our society” said Bishop Brady. “With that in mind we hand all our prisoners in our country and around the world to Our Lord”. Photos by Giovanni Portelli. Used with permission Catholic Archdiocese of Sydney.